The City of Detroit today announced updated guidelines for scooter sharing companies to expand access to the new mobility option and serve more Detroiters in neighborhoods across the city. The changes come after initial observations and analysis from city officials over the first 10 weeks that scooters have operated in Detroit. Currently, scooter service is available from two companies, Bird and Lime, via their respective mobile apps. The updated guidelines increase the cap on the number of scooters each company can deploy to 400 from 300. Additionally, the guidelines will now require that each company deploy 100 scooters in neighborhoods outside of Grand Boulevard. The city will work with each company on their deployment plan to ensure scooters are accessible throughout the city. The new guidelines will be effective immediately and can be read in full at detroitmi.gov/DPW. 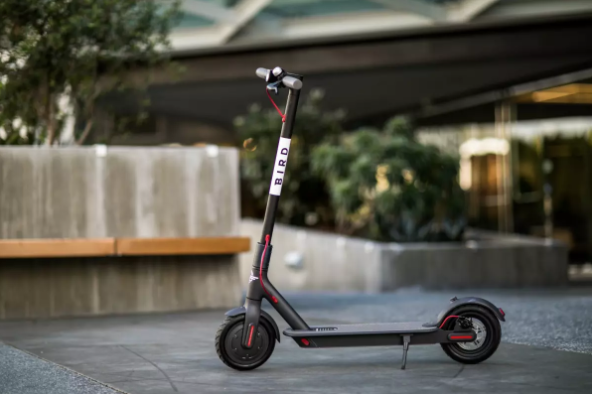 Bird: 15 scooters in District 1, 15 scooters in District 2, 15 scooters in District 3, 15 scooters in District 4, 15 scooters in District 5, 15 scooters in District 6, and 10 scooters in District 5. Lime: 20 scooters in District 3, 20 scooters in District 4, 20 scooters in District 5, 20 scooters in District 6, and 20 scooters in District 7. The city will also establish a Community Advisory Board to engage residents and provide guidance on the goals and outcomes for scooters in Detroit. Residents, businesses, and additional stakeholders will work with a number of city agencies, including the Department of Public Works, Buildings, Safety Engineering and Environmental Department, and the Office of Mobility Innovation to establish the board. The board will be responsible for working with the community to ensure mobility options, like scooters, are accessible and inclusive. In related news, the city today announced it has launched a completely redesigned website that makes it easier for citizens to navigate and access the information they need. The new www.detroitmi.gov has a simpler presentation that is fully optimized for mobile devices, and offers more powerful tools that will open the doors of information to more segments of the community. Residents can now access a number of opportunities like Detroit at Work job training or the Detroit Promise college scholarship program directly from the front page. More departments are represented online, including the Department of Sustainability, Department of Mobility, as well as direct links to related pages for city programs, such as its Detroit at Work, iDecide (teen reproductive health) and Motor City Match small business initiatives. A link to the city’s extensive Open Data portal appears throughout the website. Multi-lingual design. Detroit’s website has been translated into Spanish, Arabic, and Bengali. Users can select which language they’d like to use. Fully accessible for the visually impaired. The new site follows accepted standards to allow visually impaired individuals to be able to access the content of the site utilizing their visual reader on the website. Enhanced search function. The structure of the new site allows for content to be organized in a way that compartmentalizes it and improves the relevance of search results. In addition, one of the sites most practical tools is the new “My Home” feature. From the front page of the website, any resident can type in his or her address to display a wide range of information specific to their home, including the name and contact information for their city council member, Department of Neighborhoods District Manager, Neighborhood Police Officer, and neighborhood building inspector. The My Home page also displays the next date for bulk, yard waste, and recycling pick up for that address, whether there are any permits or blight tickets associated with the property, and notice of any planned upcoming nearby demolitions. Previous articleSouthfield’s Icahn Automotive Group Introduces Pep Boys Mobile Crew Across U.S.